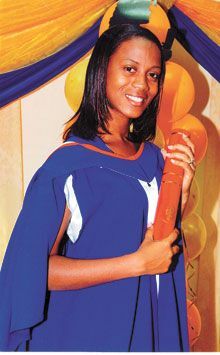 Shara Ollivierre graduated on the 8th January, 2010, with a Bachelor of Education – Literacy Studies, with Upper Second Class (Hons), from the University of the West Indies Open Campus. Shara is the daughter of Winston Creese residing in New York and Lyncole âLynnieâ Ollivierre of Sion Hill. 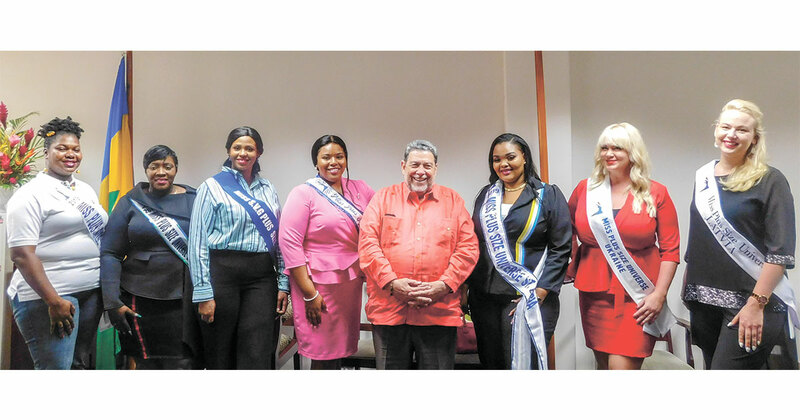 She attended several primary schools, with the latter being Mary Hutchinson Primary School in Union Island, then on to the St. Josephâs Convent Kingstown. Then she furthered her studies at St. Vincent Technical College and the St. Vincent Teachersâ College to fulfill her dream of being a Teacher. Her motto is: âI can do all things through Christ who strengthens me.â She also believes that âthe raceâ is for those who endure to the end. She has run a good race and fought a good fight to this fulfilling era of her life. Congratulations from mom, other relatives, fiancÃ© and close friends.